Opera Mundi (édition Brochée) was the representetive from King Features in France. 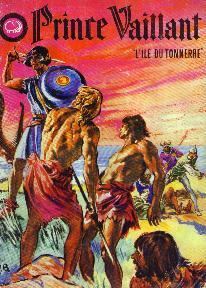 Between 1961-1965 they did publish several small Prince Valiant books in their Eléphant Blanc series. Half the book is in black &white, half in color. These are copies of the DELL publications and therefore not made by Hal Foster (see Dell paragraph in the US chapter). Besides this it seems that their main business was selling the Prince Valiant rights to other European companies. Opera Mundi was big in magazines. They were the producer of PEP magazine, published in several European countries between 1962-1975. 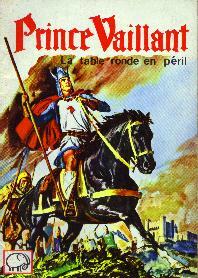 Please note that Prince Valiant was written Prince Vaillant in these books. 52: La table ronde en péril.